The purpose of this website is to break down a problem to its simplest parts (issues). Use common sense to resolve each issue. Gain public awareness for today's perspective. noun: common sense; modifier noun: common-sense; noun: commonsense good sense and sound judgment in practical matters. "use your common sense" synonyms: good sense, sense, native wit, sensibleness, judgment, levelheadedness, prudence, discernment, canniness, astuteness, shrewdness, wisdom, insight, perception, perspicacity; practicality, capability, resourcefulness, enterprise; informal horse sense, gumption, savvy, smarts, street smarts. "I had the common sense to phone an ambulance instead of yelling at him to get up"
The last time that the Town of Crawford New York had an assessment revaluation was 1985. An assessor has not stepped into a home in 33 years. If you are a new home owner or recently bought a home, you are carrying the tax burden. The last time that the Town of Crawford New York had a Zoning law major rewrite was 1985. You may be surprised when an undesirable project starts building near you. If you live in Orange County, your local suicide prevention center is Dutchess County Department of Behavioral and Community Health. Orange County Mental Health Association is not up to national standards. I was a ORMC's volunteer for past three years in the pet therapy program. As a volunteer, you become very close to the institution. Born and raised in Orange County, you become very passionate about your hospital. ORMC is a great hospital, but there is always room for improvement. Using their website and compare it to reality, you find problems.This is a platform to bring up problems and resolve them using common sense. This website shows a dog lying on a patient in bed. This is wrong because it is a contamination problem. MRSA, C.difficile and other contagious diseases could be passed between pet therapy dogs and patients. This is a major health concern. I suggested only pet the dog, not on the bed, and sanitize the patient's hands. Pet therapy certification teaches you that we have to work with the patients and the staff. By going to the emergency room, urging care, cancer center, the front lobby waiting room, you are picking up contamination. People are waiting to see a doctor, and they are not patients. The doctor will determine if they have infectious diseases. Now the pet is contaminated and is going to visit the patients and staff. To resolve this problem, ORMC needs funding for training. Please help by donating. A patient's individual treatment plan will be evaluated and developed by our multi-disciplinary team based on the individual needs and specifications of that patient. Orange Regional offers Complementary Therapies as a part of your recovery. Complementary Therapies aim to treat the whole person, not just the symptoms of an illness. 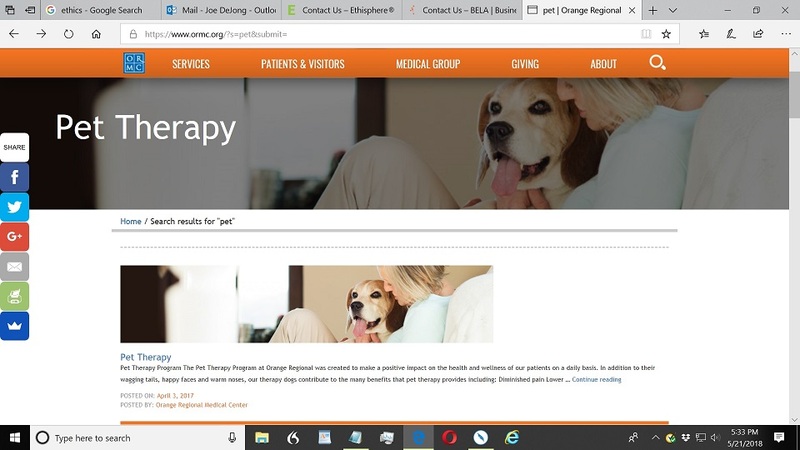 Orange Regional Medical Center offers Reiki Therapy as a natural approach to healing and wellness and our Pet Therapy Program helps make a positive impact on the health and well-being of our patients." It clearly states BHU has therapy dog service. Reality... there was no regular pet therapy service for the past 18 months. Thank you for filing a complaint via the website of the Office for Civil Rights (OCR) at the Department of Health and Human Services. This is an automated response to acknowledge receipt of your complaint. Your complaint will be assigned to an OCR staff member for review and appropriate action. 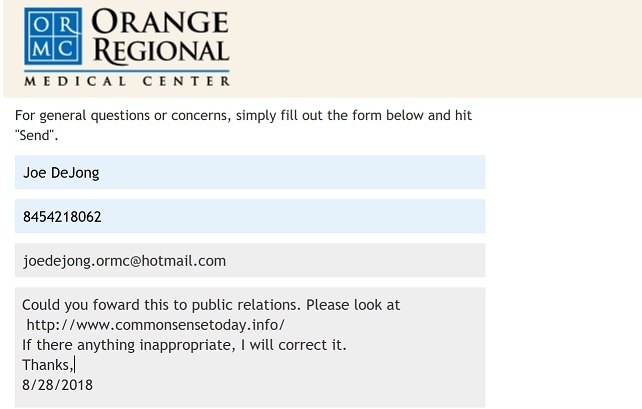 If OCR has any questions about the complaint you submitted, we will contact you directly. Otherwise, you will receive a written response indicating whether or not OCR has accepted your complaint for investigation. 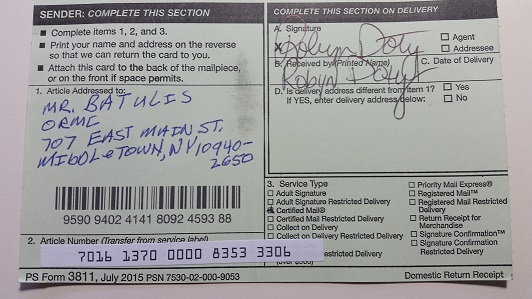 Please do not fax, email, or mail a copy of this complaint to us as that may delay the processing of your complaint. If you have any additional information to add to your complaint, you may call 1-800-368-1019. Please reference the number given by OCR when submitting your complaint. No, it won’t be necessary to send me the entire recording, thank you. You should never feel pressured to disclose PHI of any sort, regardless of who asks for it. All staff of the GHVHS are required to abide by our HIPAA policies. After review of this scenario there is no HIPAA violation. Per policy, we are obligated to keep patient health information confidential. Ms. Linken did not use the PHI in any form when you disclosed it to her. I have closed this investigation and I wish you the best Mr. DeJong. Privacy is very important. ORMC upper management has a "need to know problem". They do not follow HIPAA. When you are entering the hospital, submit a request restriction of personal information. "Right to Request Restrictions: You have the right to request a restriction or limitation on the medical information we use or disclose about you for treatment, payment or health care operations. You also have the right to request a limit on the medical information we disclose about you to someone who is involved in your care or the payment for your care, like a family member or friend. For example, you could ask that we not use or disclose information about a surgery you had." Subject: Re: FOIL request for a copy of ORMC's annual report. Orange Regional Medical Center has received your Freedom of Information Law request. Subject: FOIL request for a copy of ORMC's annual report. This is a FOIL request for a copy of ORMC's annual report. ORMC is a private, not-for-profit hospital. Our hospital is no longer a community hospital and not transparent. A community hospital and its medical staff should be able to get to care that is coordinated through the eyes of the patient at a much faster pace than a large hospital company. Denying my request for a copy of their annual report lacks transparencies. Could you review my website? the activities of this website. Joint Commission should reply to my concern above. Public Relations should reply to my concern above. ORMC is officially notified of the existence of this website. Attached is a copy of http://www.commonsensetoday.info/. I have been asking public relations about the content of the website. If there is anything inappropriate, I will correct it. Could you forward this to your staff? To resolve the above problems, ORMC needs funding for training. Please help by donating. This list represents memorial/tribute gifts from January 1, 2018 through June 30, 2018.